Air Astana has launched a new non-stop flight from Almaty to Tehran, the capital of the Islamic Republic of Iran. Flights will operate three times a week, on Tuesdays, Thursdays and Saturdays, and will be served by an Embraer 190. The cabin will feature nine Business Class seats and 88 Economy Class seats. The new service will offer added ease of travel and will enhance business and cultural links between the two countries. According to the Kazakhstan ministry of foreign affairs, the approximate value in trade between the two countries in 2015 was $US1 billion. Air Astana’s direct flights between Almaty and Tehran will also boost tourism between the two countries. Iran is one of the oldest civilizations in the world and boasts numerous well-preserved historical landmarks, a rich culture, outstanding architectural monuments, magnificent natural landscapes, rich cuisine and fine objects of national art. These attractions will undoubtedly draw many tourists from Kazakhstan. “I trust that our Iranian guests will enjoy the history and culture of Kazakhstan. “Beyond that Almaty has a lot more to offer with premium ski resorts, year around cultural events, a wide variety of shopping malls and fine dining – all at surprisingly great value for money. 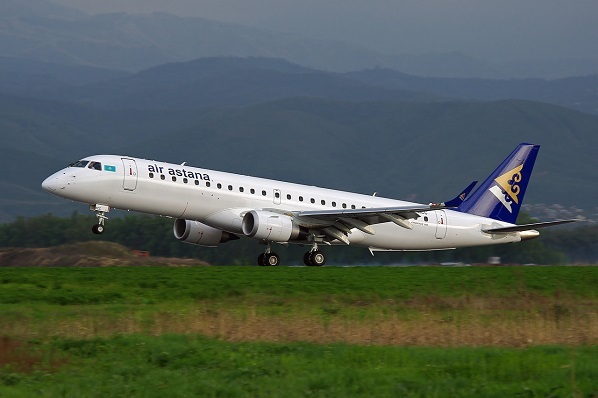 “All these are accessible with a flight that is just three and a half hours away from Tehran,” said Ibrahim Canliel, senior vice-president, sales and marketing, Air Astana.